Might we see Spotify movie streaming soon? Spotify is reported to be finalising a number of high profile deals with US movie studios, in the run up to launching a movie streaming service later this year. 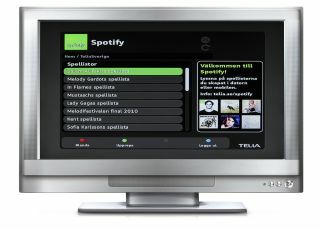 The Swedish music streaming company is looking to start offering movies, too, according to latest reports on Techcrunch. TechCrunch's anonymous source claims that the service will be launching worldwide in the autumn of this year. Spotify is allegedly looking to offer users exclusive early access to movies before they are available on disc or on other download services. Spotify CEO Daniel Ek has so far denied the reports. However, we'll be sure to keep a close eye on developments here.